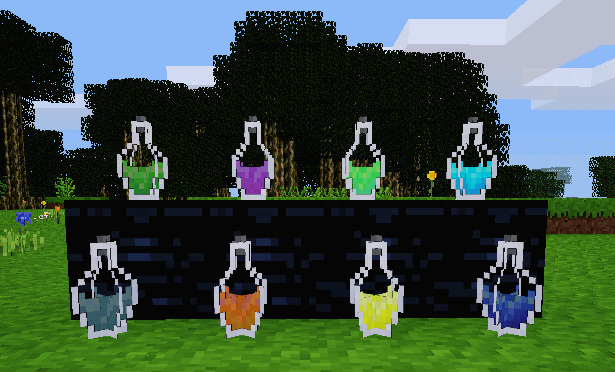 This adds eight warp potions which can be placed as decorative items. Smashing a warp potion after it has been placed sets a warp point. There are eight warp points, one for each potion, which can be independently set and are unique to each player. Using a warp potion in the potion inventory will return the player to the warp point for that potion. This mod has been added to both Red Cat and Dark Lands. Note that on Dark Lands, the recipe for the already existing teleport potions has been removed. You can still use teleport potions you already have, but you can’t craft more.